Alejandro Ingelmo Fall 2012 Shoes. Let yourself be captivated by the scene-stealing Alejandro Ingelmo fall 2012 shoe collection. Complement your wardrobe with these hyper-refined accessories. If you're a slave of high-street accessorizing, it's time to turn to the latest footwear parade of this prophetic designer. The Alejandro Ingelmo fall 2012 shoe collection illustrates the unique talent of the designer to create statement high-heels and wedges to pamper fashionistas with cutting-edge wardrobe staples. We find out from the bio of Alejandro Ingelmo that, “Working out of his Soho-based studio in Manhattan, Ingelmo mingles the Cuban influences of his heritage with a directional New York edge.” See how geometry and modern architecture is fused into breath-taking style creations. Infuse flamboyance and urban glamor into your signature style with the help of these artsy accessories. As we find out from the webpage of the Alejandro Ingelmo fashion atelier, the creator's “rich knowledge of traditional craftsmanship originates directly from his family's teachings. While his construction reflects those techniques passed on to him, Ingelmo consistently reaches for modernity in his silhouettes and finishing details. With the essence of his heritage and innovative technological development, Ingelmo has become known for his exquisitely produced product.” In this collection you'll find some of the iconic Ingelmo shoes in different shades and sculpted from refine leather, suede and other high-class materials. The public crowned the OPEN TOE ORIGAMI shoes the star pieces of the latest collections. These sophisticated suede booties are glammed up with patent leather details. Notice the innovative silhouette Alejandro Ingelmo envisioned to land these footwear designs in the spotlight. Celebrities from all over the world have fallen in love with these stand-out style operas. 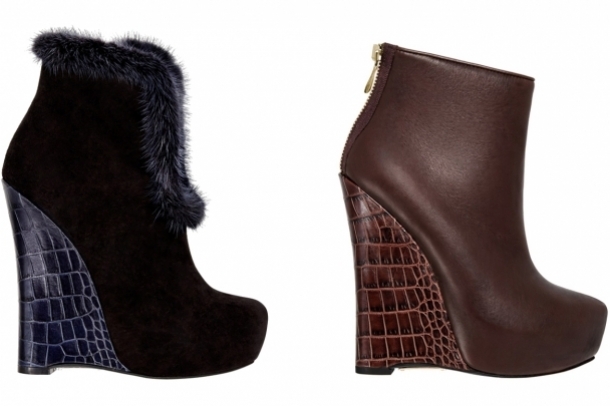 Furthermore, you'll have the chance to rock the head-turning SOPHIA BOOTIES in classy black. One of the innovations in the case of these too-hot-to-handle footwear styles is the python platform sole which radiates confidence and a femme-fatale vibe. Sport the elegant cut-out sandals which adopt the form of your feet and offer a comfortable experience to the wearer. In addition to gorgeous pumps and booties, we also have a selection of wedge booties like the CROSBY shoes. In order to promote the fur craze of the moment, Alejandro Ingelmo complemented these timeless shoe designs with fur details. Stay up-to-date with the 'it' trends of the moment by selecting the most impressive accessories. 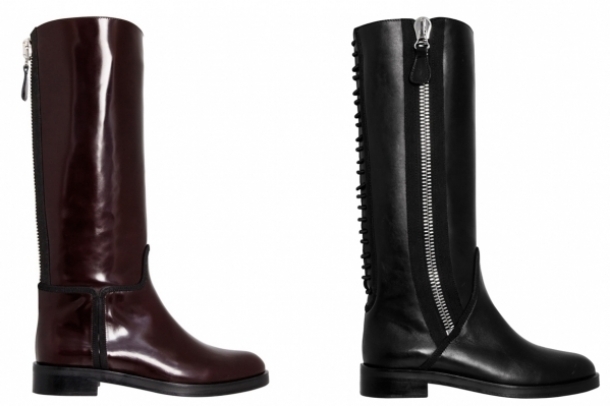 Last but not least, if you want to rev up your goth chic or punked-up wardrobe, you should definitely sport some of these gorgeous leather boots adorned with voguish metallic zippers.